Ants are the number one pest concern for Americans in 2018, according to a survey from Atlanta-based Arrow Exterminators. Arrow Exterminators has a list of ways to pest-proof your home as the temperatures outside drop. People aren't the only ones seeking shelter from the cold. Pests also look for food, water and shelter inside as the temperatures outside drop. Their indoor intrusion can transmit diseases, trigger asthma attacks in children and make a mess of homes. Always store food in sealed, airtight containers. Seal all cracks in and around the foundation of the home with caulk. Pay special attention to areas where utilities and pipes enter the home. Screen vents and openings to the chimney. Make sure that all screens on doors and windows are in good repair. As an added bonus this should help lower your power bill! Keep kitchens and bathrooms sanitized and vacuum frequently. Do not let dirty dishes accumulate in the sink. Many common household pests are attracted to water, so eliminating sources of standing water really goes a long way in pest prevention. Keep tree branches and shrubs trimmed back and away from the home as they can serve as a bridge to the home for pests such as ants and cockroaches. Store firewood at least 20 feet away from the home on an elevated surface. Rodents: Some of the most common fall intruders are mice, rats and squirrels looking for warmth and food to survive the winter. Squirrel breeding season typically begins in September and continues through April, so this is a very common time of year to find them nesting in attics. Many rodents can spread diseases, build nests in insulation and chew through wiring causing fires, and they can fit through spaces as small as a nickel, making cracks or tiny holes in the foundation easy entryways. They rarely travel alone, often bringing fleas, mites, ticks and lice along with them creating even more issues. Ants: Ants are among the most common household pests and are the number one pest concern according to a survey conducted from Arrow Exterminators by Radius Global Market Research. 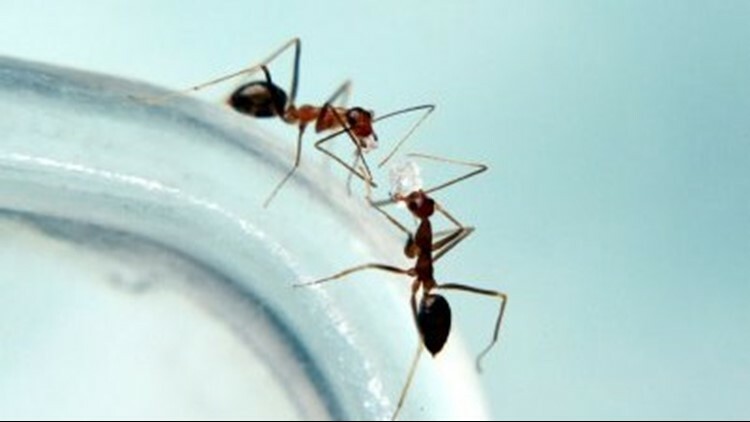 More than a third of the 2,011 survey respondents (36 percent) expressed concerns about ant infestations. There are 700 species in the United States alone, which can make devising a single treatment difficult. Many types of ants can be found in and around the home during the fall months and some can cause real harm. Odorous house ants can contaminate food and carpenter ants can damage the structure of a home. Cockroaches: “Cockroaches are definitely one of the most common and dangerous pests on our list,” said Arrow Exterminators Pest Expert Charlie Jones. “They have the potential to spread 33 different kinds of bacteria, six parasitic worms and at least seven other kinds of human pathogens.” The saliva, droppings and decomposing bodies of cockroaches also contain allergen proteins known to trigger allergies and increase the severity of asthma symptoms, especially in children.